Kanchanaburi is a town in Kanchanaburi province located in the west part of Thailand. 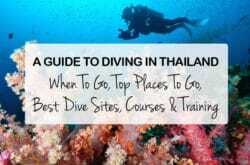 It lies approximately 120 kilometres west of Bangkok. This city was founded in 19th century by King Rama who used it as a defensive station against possible attacks from what is currently known as La Ya sub-district. This town relocated to its present site on the Northern side of the river. Kanchanaburi is currently situated at the point where River Kwai (or Khwae) Noi and Kwai Yai converge to form River Mae Klong. 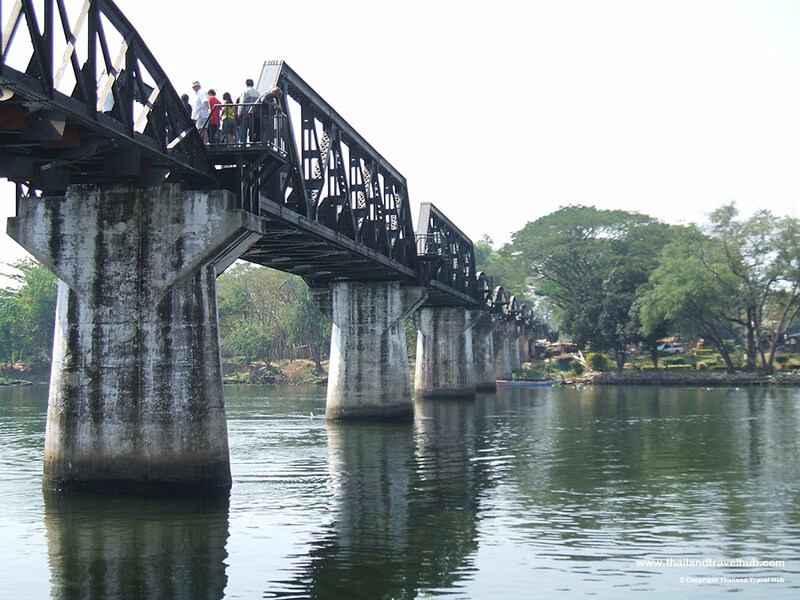 Kanchanaburi is most well known for it’s role in WWII and the building of the Death Railway, under Japanese control. 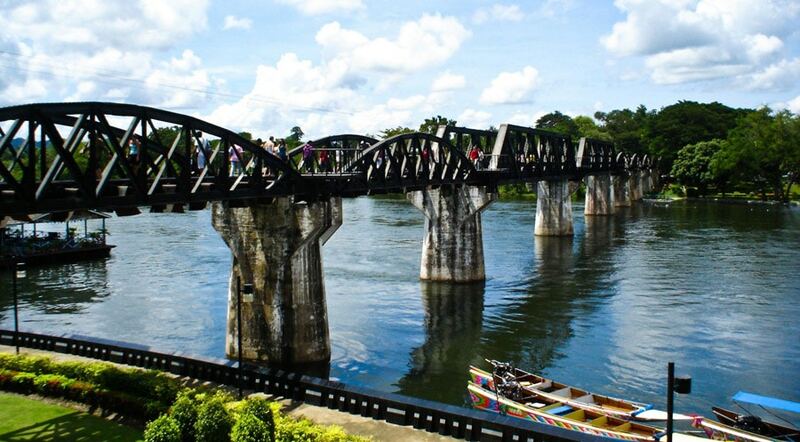 There are many historic locations such as the Bridge On The River Kwai and Death Railway, Hell Fire Pass, Cemeteries and Museums to visit, learn about the history and pay your respects to the people who lost their lives. 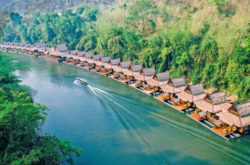 Although Kanchanaburi will always carry the dark history of WWII, there are also many other reasons to visit this amazing, beautiful area of Thailand. Kanchanaburi has a population of approximately 65,000 people. The majority of this population, according to statistics, is made up of people who are between the average ages of 15 to 68 years. Also, the community is made up of mostly Thai and Chinese communities with the greater number of them practicing Buddhism. The climate of Kanchanaburi is tropical, rainy cloudy, warm and accompanied by the southwest monsoon wind during mid-May and up to mid-September. In the months of November to around mid-March, Kanchanaburi usually experiences dry, cold weather with the northeast monsoon wind. Its southern isthmus is always hot and humid. 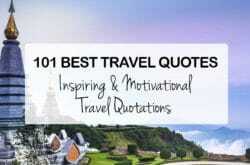 To get to Kanchanaburi from Bangkok, you can decide to travel by train, mini-buses or taking a metered taxi. The train from Bangkok to Kanchanaburi can be made from Thonburi station in Bangkok, but is just a tiny train station, not the main one. The train cost 100 Baht from Bangkok to Kanchanaburi, and it leaves at 7.50 am and another one at 1.55 pm daily. Using a taxi from Bangkok to Kanchanaburi is quite expensive and mostly if you are travelling alone. It goes for roughly 1000 Baht, but it is faster than the train. The minibus option costs 250 Baht; this can be best suited for family and if they want to reach Kanchanaburi faster. 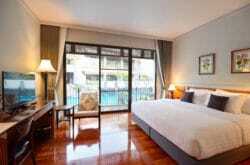 Kanchanaburi has various accommodation places that tourists can choose according to their interests. 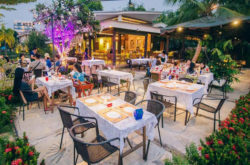 The accommodation here includes river rafts, riverside bungalows, five-star hotels, resorts and guest houses which are more affordable than some of the other tourist destinations in Thailand. Here are some of the top places to Stay in Kanachanaburi which we highly recommend. The Bridge on River Kwai is one of the most fantastic places in Kanchanaburi that attracts thousands of tourists, worldwide. The bridge was constructed by Japanese during World War II. This bridge is also where the major bombing of 1944 occurred and destroyed most of River Kwai Bridge. This bridge was mostly utilised by the Japanese during the war to transport different war materials from India. It had a history of existence from late 1942 when its construction was started. Tourists travelling to River Kwai Bridge can enjoy watching the train pass over the Bridge as well as walk across the bridge, when is safe to do so. 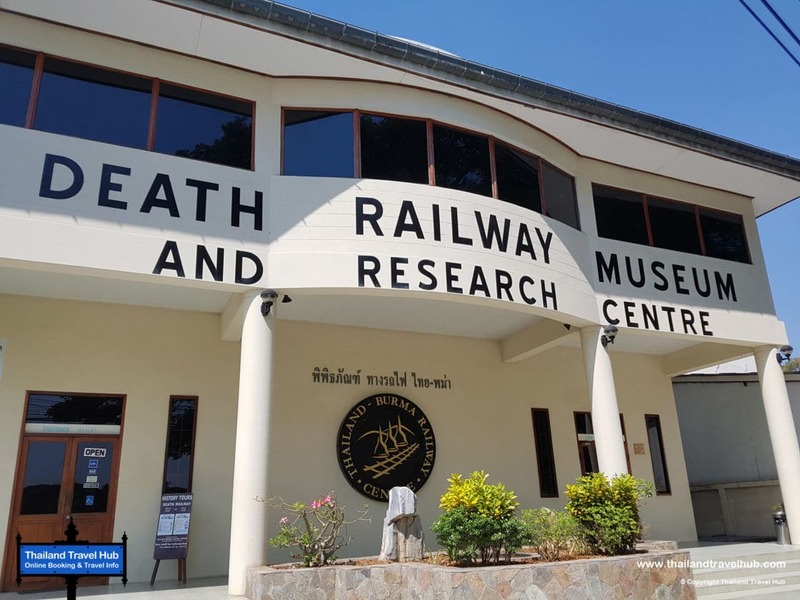 The Thailand-Burma Railway Centre is an interactive museum, information and research centre which provides an educational and moving experience which guides you through the history and tragic events of the Thailand-Burma Railway. The museum also displays a range of documents, maps, photographs, personal items and records. The Thailand-Burma Railway Centre is opened to the visitors’ every day from 9.00 am until 5.00 pm subject to Thailand regulations. The admission fees for visiting the centre are different for children and adults, the cost is 70 baht of children from 7 years to 12 years and 120 baht for adults. Opposite the Thailand-Burma Railway Centre you will find the Kanchanaburi’s Chungkai War Cemetery where about 7000 POW’s who constructed the railway were buried. 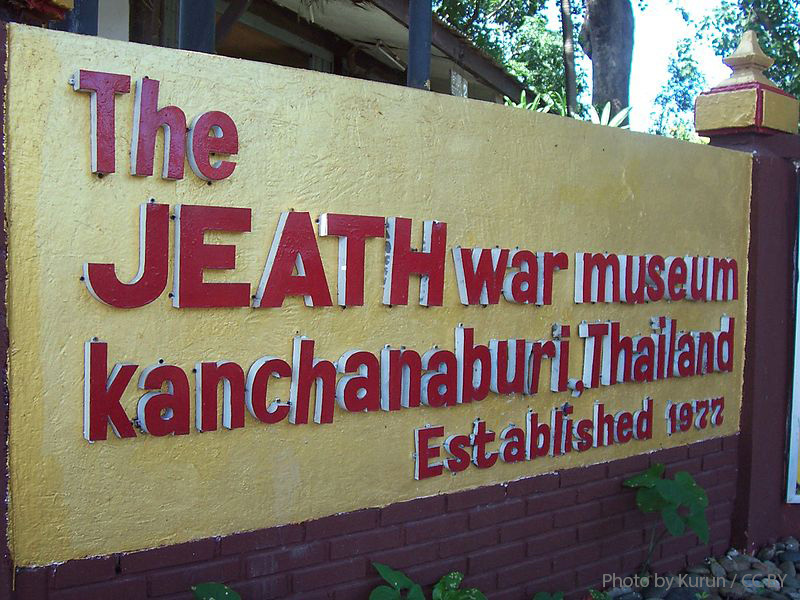 The JEATH War museum shows the history of the Death Railway that was constructed between 1942 and 1943 by war prisoners. This museum was built in 1977 by the instructions of by ten chief abbots of Wat Chaichumpol Venerable Phra Theppanyasuthee. The Museum is located at a Temple on the river side, where the River Kwai Yai and River Kwai Noi meet. The museum has two sections, the first section depicts the building of Death Railway and the other section that consists of reconstructed bamboo huts, displaying photos of prisoners, paintings and maps. Some of the remains of the weapons and tools used during the war are also on display in this section of the museum. The museum describes the difficulties prisoners faced in the construction of the Death Railway. The word JEATH is an acronym of the countries that participated in the building of the Death Railway. J stands for Japan, E for England; A for Australia, T stands for Thailand and H for Holland. Another place also well worth a visit while exploring Kanchanaburi is the Hellfire Pass site. 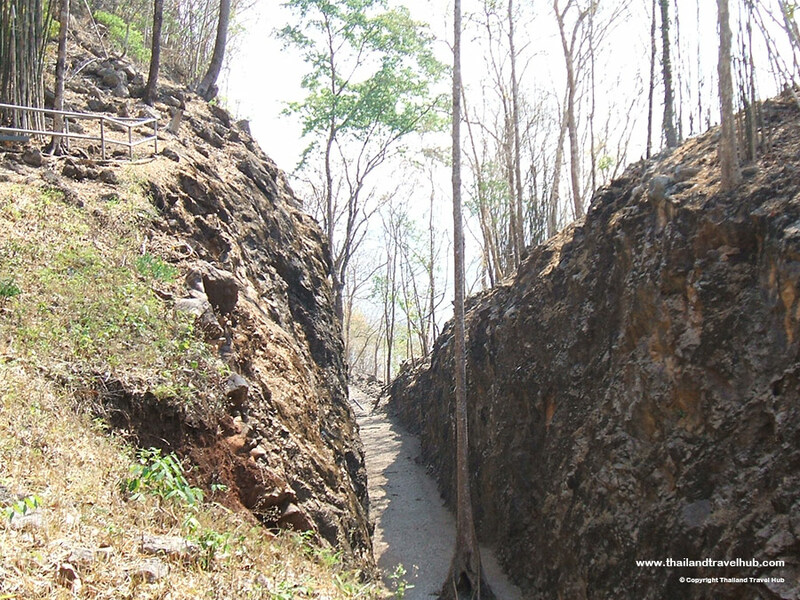 This is a cutting line through the rocks that was designed to make way for the railway line. War prisoners were required to work long hours to complete the cutting which was the most challenging segment of the railway line. The Hellfire Pass is well known for the harsh conditions in which the prisoners were subjected to during the construction of the Death Railway. Most people lost their lives here due to forced and hard labour thus the name Hell. It is a historic site where visitors can enjoy the rich but emotional story of its construction. It connects to the stories of River Kwai Bridge, the death railway, and the iniquitous Thailand bombing. Trains no longer run through this cutting as it was bombed many times during the war era. 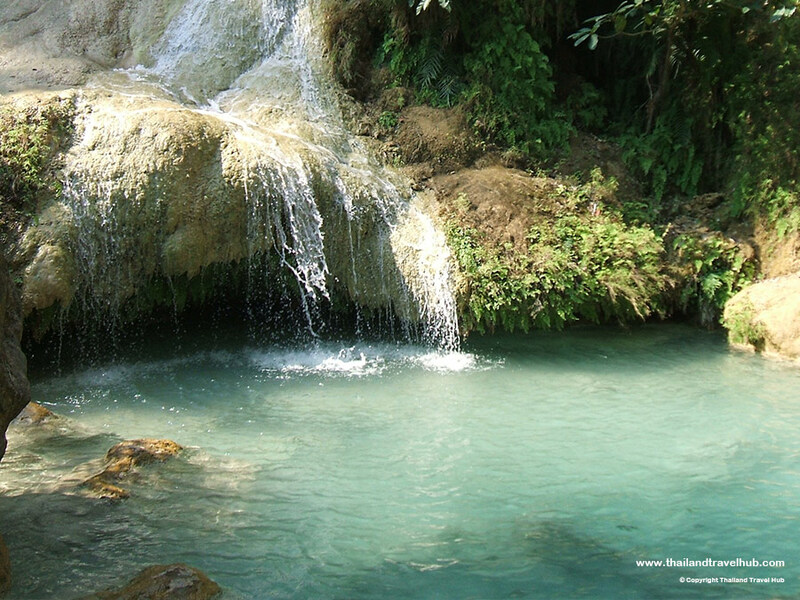 The Erawan National Park is another tourists’ destination in Kanchanaburi. It is sited on the Hills of Tenasserim, west of Thailand in Kanchanaburi province. The large part of this park is covered by a mixture of deciduous forests and evergreen forest. There are some plains and small and beautiful streams. Erawan waterfall is the main attraction site of the park. Located on the east side of the park, it has bright green ponds. People can walk easily from the park headquarters to the falls. There are also several wild animals to watch. The most common animals in this park are wild elephants, the Indian muntjac, the wild serow, sambar deer as well as lar gibbon. The Erawan National Park is also the home to several impressive bird species such as crested serpent eagle and blue whistling thrush. It is usually opened for tourists’ every day from 7.am to 4.30 pm throughout the year. Further, there is the Sai Yok National Park. It is a home of high mountains, caves waterfalls, and forests. 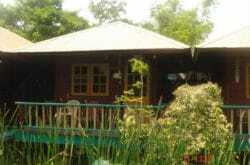 The park is located at about 100 kilometres northwest sides of Kanchanaburi town. It has the remains of the Death Railway materials as well as camps that were used by Japanese during the periods of war. 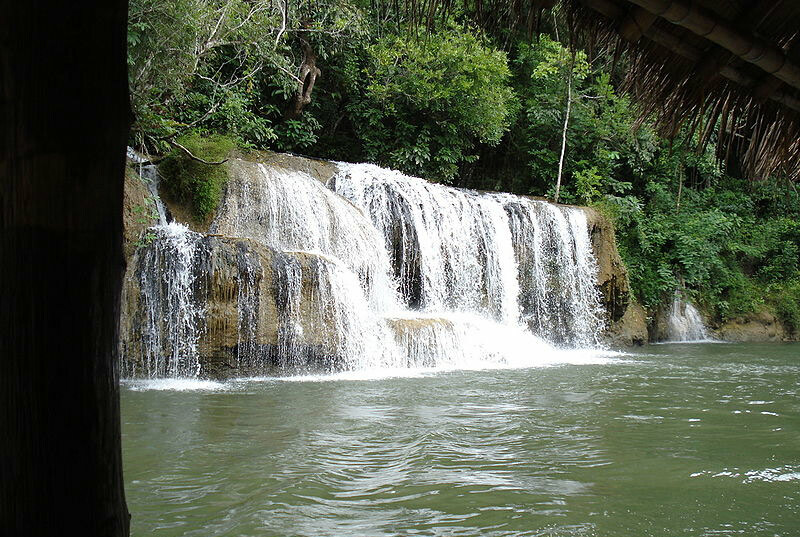 Sai Yok Yai waterfalls are the main tourist attraction site in this park. This waterfall flows into the famous River Kwai Noi. There is a rope suspension bridge nearby that visitor can use to cross River Kwai. The Tham lava caves in this park is another beautiful site to visit. The caves are complex and consist of large caverns that contain stalactites. Moreover, there is Sai Yok forest that is teak forest. The teak trees were used by Japanese in the construction of the railway during the Second World War. There are also wild animals to watch in this park such as tiger, wild pig, barking deer and much more.